You spent good money on a nice pair of headphones, so stop tossing them on your desk or leaving them dangling precariously off a drawer knob. Rest your favorite headphones on one of these great made-for-the-task stands instead. It’s nice to have somewhere more stylish to store your cans. It can immediately make your work surroundings look so much neater and more organized than before. However, some of these headset stands aren’t just focused on looks. They also come with a few extra features—like audio passthrough—that will enhance your listening experience. Whatever your requirements, there’s a great headset stand for you here. Here’s our pick of the best headset and headphone stands out there. 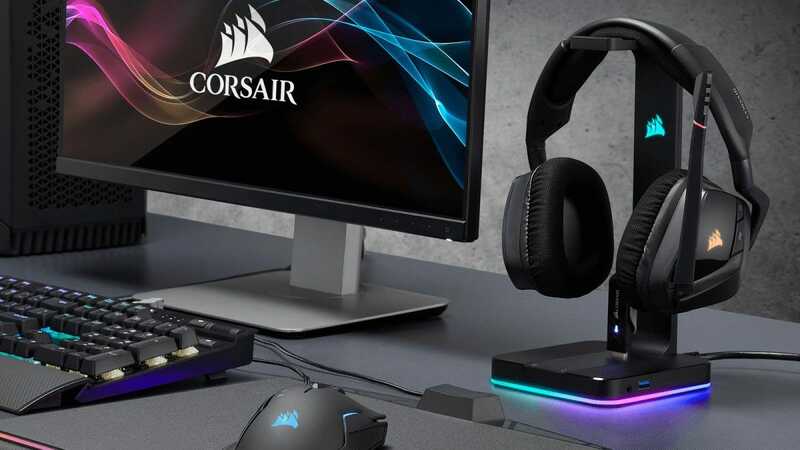 If you want a headset stand that does more than most, you can’t fault the Corsair Gaming ST100 RGB Premium Headset Stand. It has a built-in 3.5mm analog input that enables full range Stereo or 7.1 surround sound. 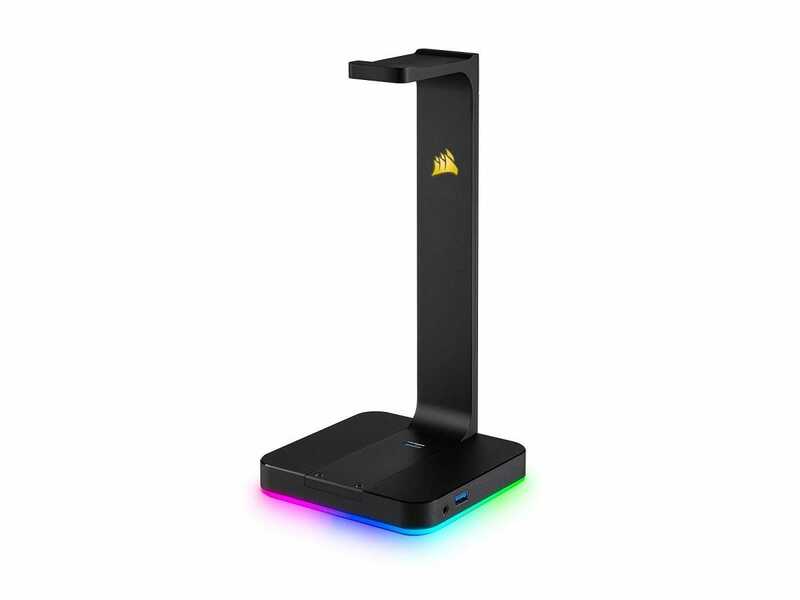 Alongside that are two USB 3.1 inputs so you can easily charge your headset, phone, and other devices through the stand. To finish things off, there’s also dynamic RGB lighting across 9 zones which has near unlimited color options. On top of the practical functions, it looks great too. It’s sleek and stylish looking with a non-slip rubberized base so that your headset won’t cause the stand to tip over. It costs twice as much as any of our other selections but you’re defintiely get more than twice as much value. 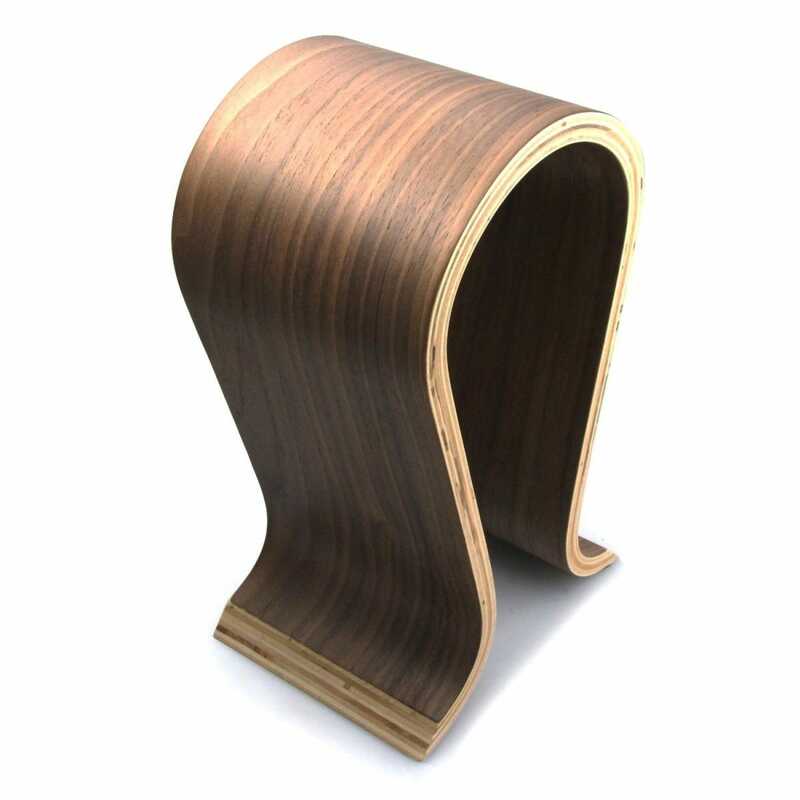 If form over function is more your thing then the Wooden Omega Headphone Stand is a delightful option. With a dark walnut finish to it, the stand is 10 inches tall with a 4.5″ x 5.5″ base with felt pads so your desk won’t get scratched. Simply hang your headphones or headset over the stand so they look good while resting. There’s not much more to it but there doesn’t need to be. This is as much a form of art as it is a practical way of storing your headphones safely. It’ll look particularly good next to your sofa, as well as on your desk. 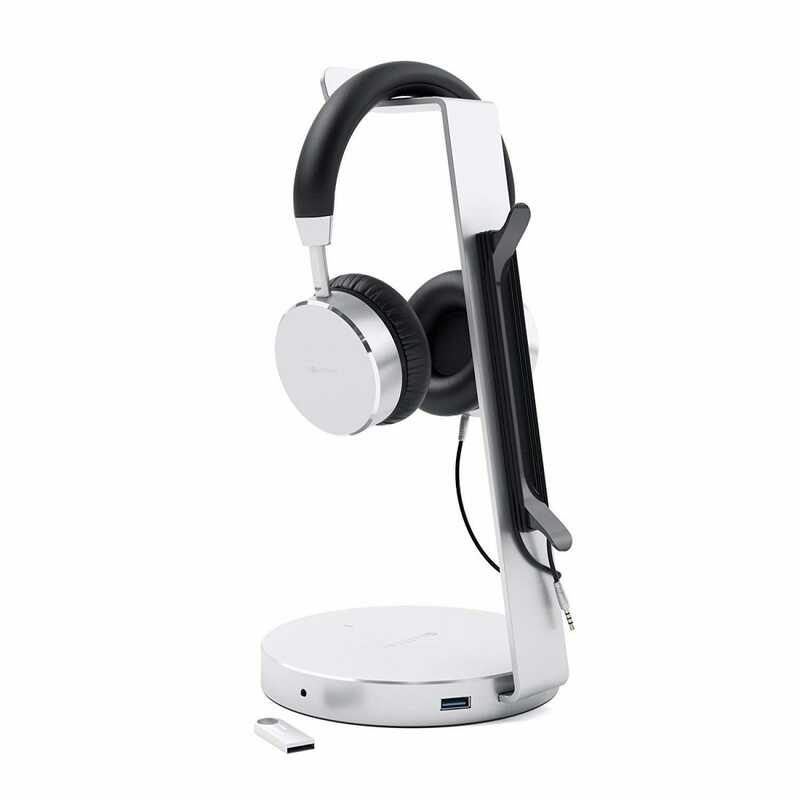 If you haven’t got much space to utilize, the Avantree Aluminium Headphone Stand is a good option to pursue. Its circular base has a circumference of 5.9 inches so it’ll fit in just about anywhere. The base is stable with anti-slip protection, while the rest of the construction is made from solid steel so there’s no risk of instability elsewhere. Soft silicone support up top means there’s no danger of scratching your headphones either. It looks pretty good too, with the kind of style that will fit perfectly on your desk or next to a games console set up. Just bear in mind that cables can look a little messy wrapped up here. Wireless headphones will look great though. If space is at a premium then a headphone hanger is a far better option than a dedicated stand. 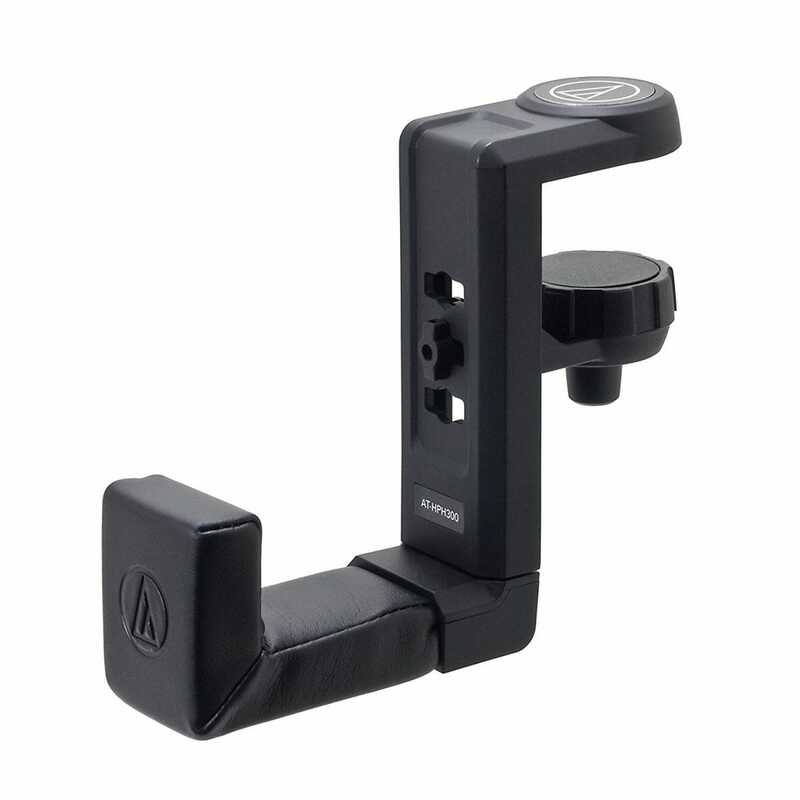 This Audio Technica Headphone Hanger has an adjustable clamp so it can mount securely to a desk or shelf, out of the way and not taking up any desk space. The hanger rotates 360 degrees so you can easily sneak your headset unobtrusively under your desk, while still being able to grab it for quick use. It has a soft leatherette pad to protect your headphones from damage, but there’s not much else that needs to be included here. It’s straight forward yet effective for a specific scenario. 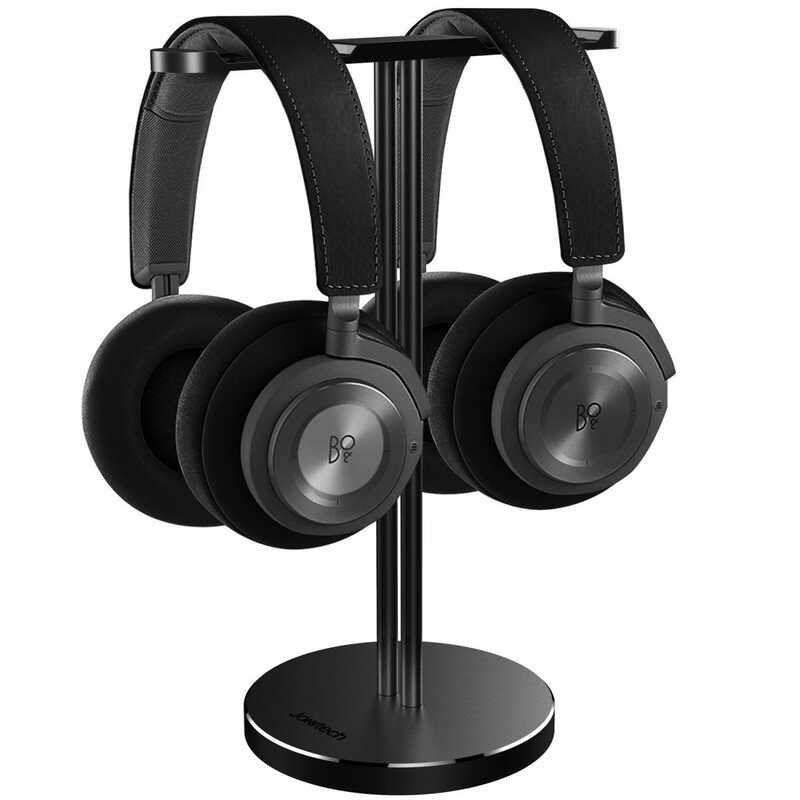 Own two headsets or two pairs of headphones? You don’t want to buy a stand for each of them. Instead, buy the Jokitech Dual Headphones Stand and enjoy the convenience of having somewhere to put both pairs safely. 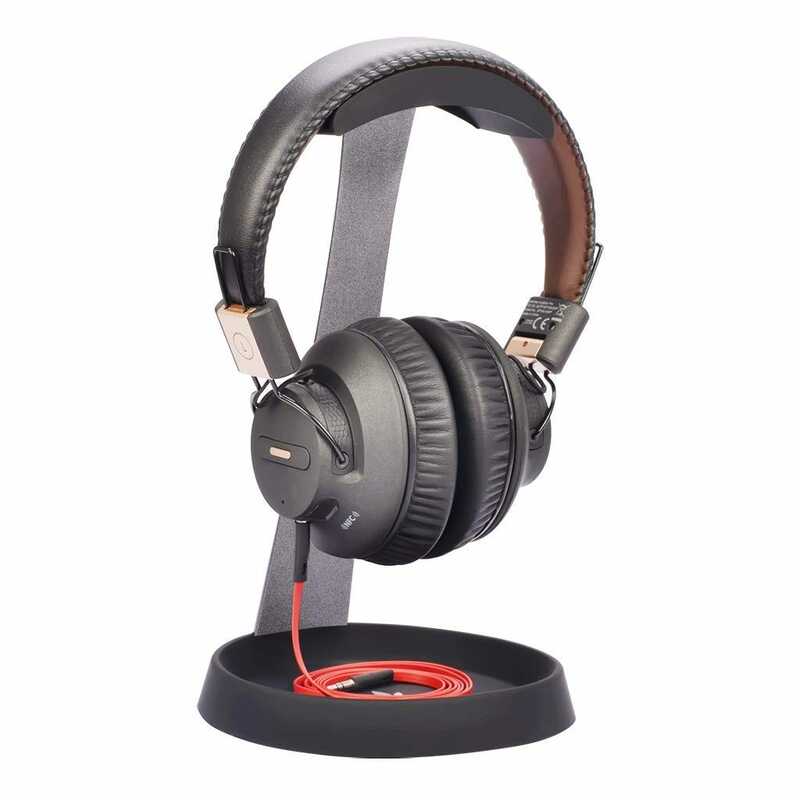 It’s a very sturdy piece of equipment as it’s made from aluminum with leather on top to protect your headphones. There’s rubber on the base too that both protects your desk and keeps it firmly planted in place. The entire thing is about 8 inches around with a height of 11 inches, so it definitely has a presence and will stand out in the space you display it—but hey, once you’re in the two-headphones territory of audio nirvana, you’re already making a statement. If you need to stylishly store two pairs at the same time, it’s the ideal solution. You can never have enough USB ports to charge from. The Satechi Aluminium USB Headphone Stand Holder understands and definitely embraces the charge-all-the-things modern lifestyle. It has 3 USB 3.0 ports that you can easily hook up devices to, while also using the stand as, well, a stand. It’s a fairly stylish looking resting place with echoes of Apple design in there. There’s a backside hook too so you can wrap and store headphone cables when not in use without them spilling out and looking ugly. A rubberized grip up top keeps your headphones scratch free too. Back around 2010 I bought the Logitech G13 so I could play World of Warcraft’s newest expansion Cataclysm more efficiently. With Battle for Azeroth out now, it’s still my go-to accessory.